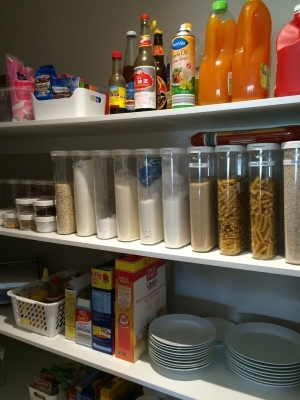 Whether you are someone who loves cooking, or just wants to get in and back out as quickly as possible, an organised pantry makes the whole experience easier. 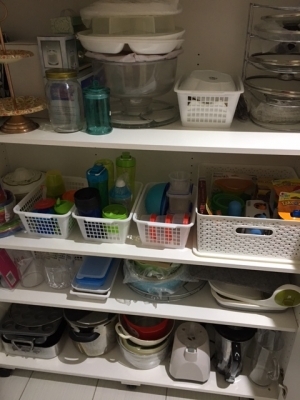 Organised Chaos works with you to understand the way you cook, your family's needs, and combines it with the best research around, to create a logical order and flow to your pantry. Melbourne weather typically means multiple seasons of clothing stays out together. 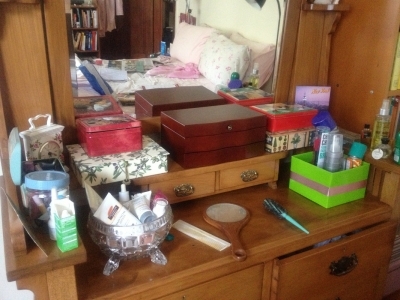 Why not let Organised Chaos help you sort, organise, declutter, and finally be able to not only close that wardrobe door, but know that when you open it again, your face will light up with pleasure at being able to find that item you want! Young, developing minds need both order and chaos in order to mature and grow. Chaos sparks creativity, joy and growth through play. Order and structure provides much needed boundaries, and helps keep you sane! At Organised Chaos we understand that these seemingly competing forces need to coexist for children. 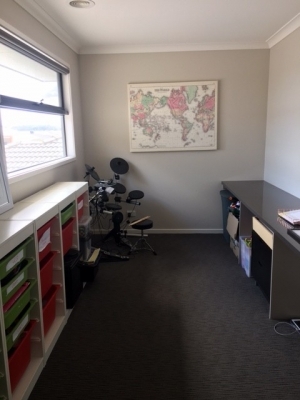 We can help you create a space that works for everyone in your family. 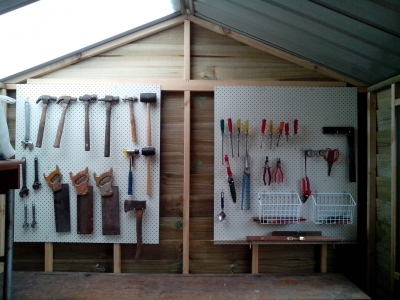 Garages and sheds often become a dumping ground for everything "left over" at the end of a day, making it even harder to find that one tool you want the next day, and before you know it, organising the space seems like too big a job. 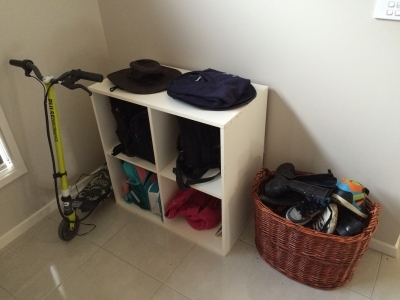 Organised Chaos can help! 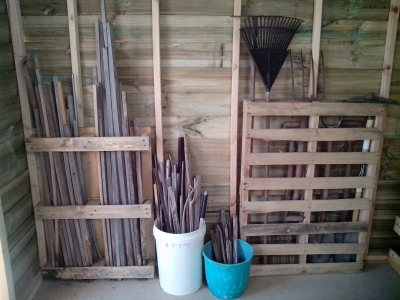 We will sort, store and re-organise the space into a functional area you can not only use, but also easily maintain. 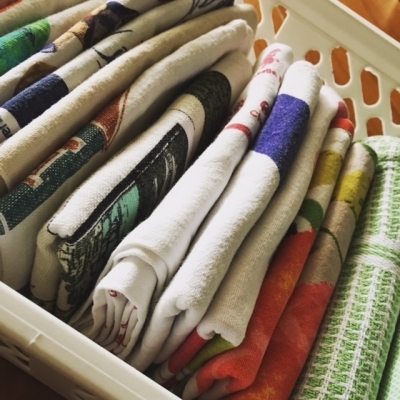 Marie Kondo recommends folding as the main storage method for clothes and other items. 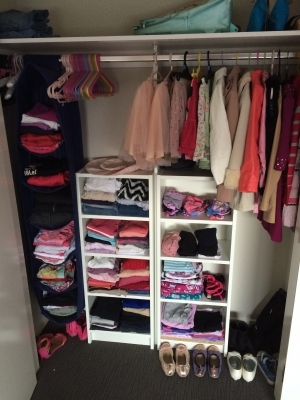 Organised Chaos likes this method, however not all clothes can be folded, it’s really what fits the space best and what works for you. 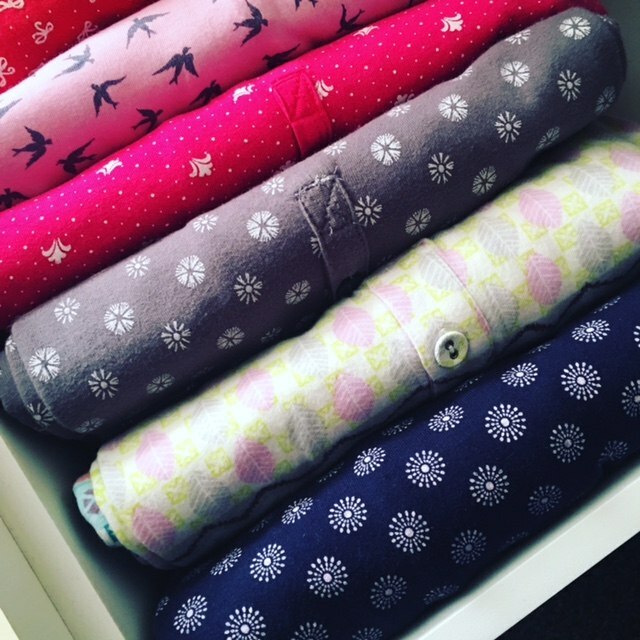 Rolling summer night wear means they neatly fit in one drawer, making it easy to pull garments out and put back in. This also works well with tea towels – folded and stored in a basket.